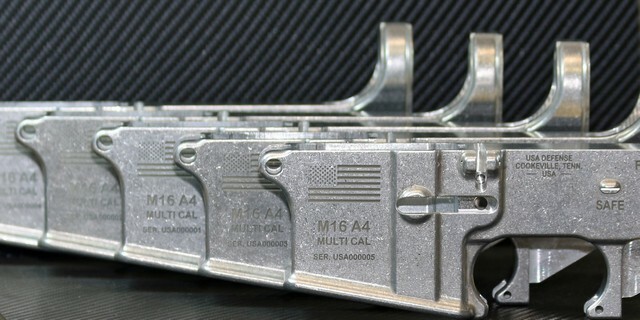 Home > AR15 > Lower Receivers > Custom Engraved 80-Percent AR15 Lower Receiver - Premium engraving with your text or graphics! 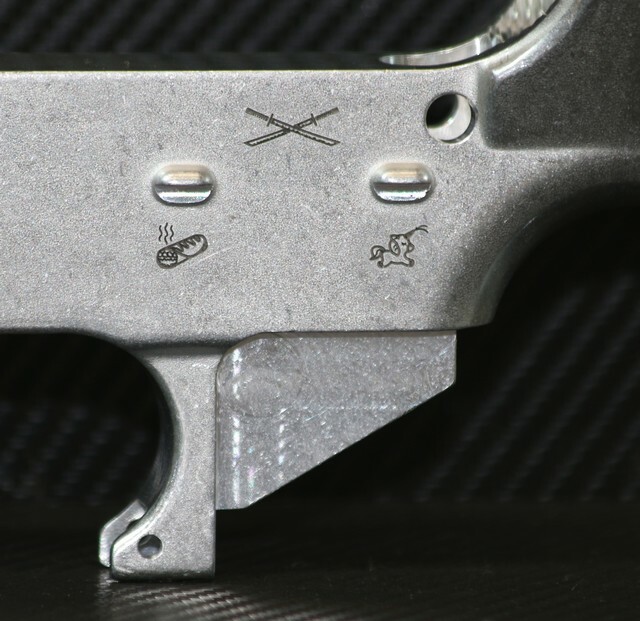 The king of the custom world is the custom engraved 80% lower receiver. Nothing is more permanent on your gun than your lower, and putting your custom logo, text, slogan, or other graphic is the best way to show everyone you own it. Put your favorite phrase, company logo, propaganda, flag or anything else you desire on the most prominent surface of your AR lower, the magwell. We use an industrial laser with extreme precision to turn your standard run of the mill lower receiver into to a masterpiece, a true extension of your personality, or just something cool that all your buddies will envy. If you don’t see your preferred options here, just let us know and a specialist will make sure we can create your every custom desire for this lower. Our standard lower receiver is forged from 7075-T6 aluminum. These lowers are known throughout the industry for their reliability and affordability. These are great quality lowers that are easy on the budget and fit most universal jigs. 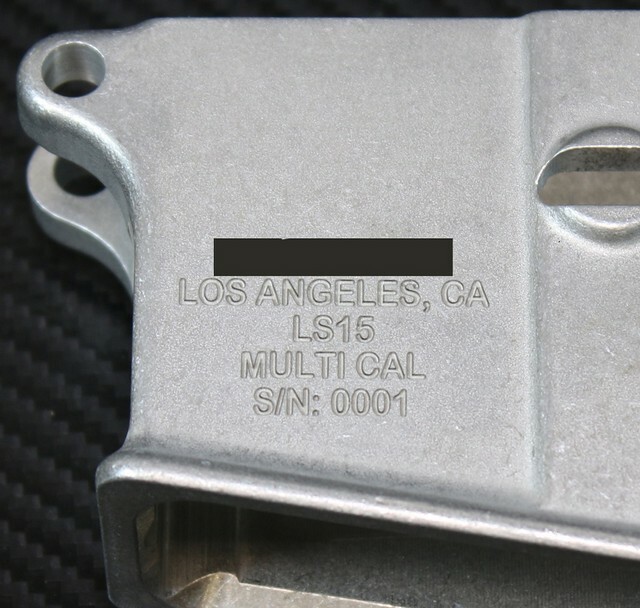 All engraving is done to exceed ATF marking regulations. 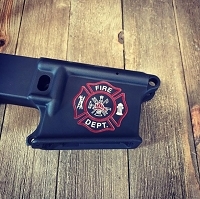 We engrave most images and text to a depth of around .01” which will allow you to color fill the engraving, or you can cerakote over the entire receiver and still be able to see all the detail of the engraving. 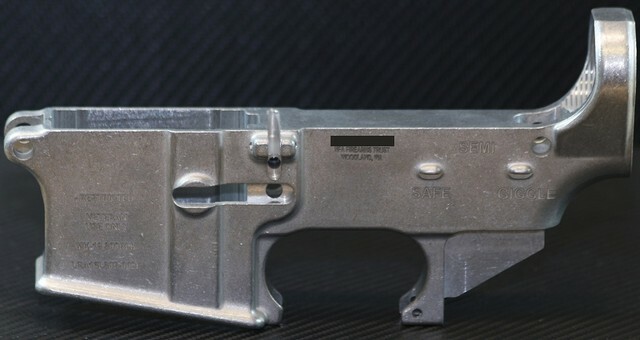 Since these are 80 percent lowers, there are no factory markings on the lower, so we can engrave pretty much anywhere we have a clear shot with the laser. We can engrave both magwells, above both trigger pins, both sides for the fire control, the front of the magwell, under the trigger guard, and we're up to trying anything else! 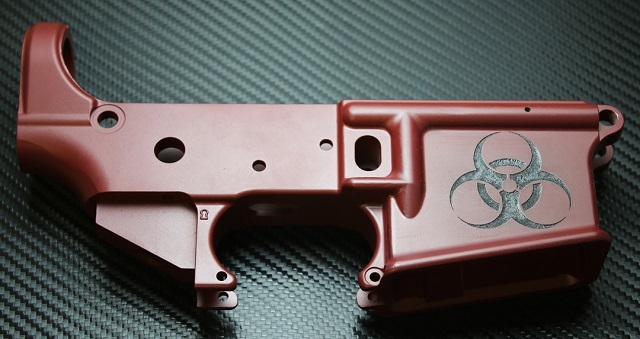 We do have the ability to anodize your AR15 lower to Mil-Spec Hardcoat Type III Class 2 (dyed) or Cerakote your lower prior to shipping. If coating, please consider the order of the process so you can get your desired result. If we engrave first, the result will be a very professional looking lower where the graphics/text look factory fresh much like the logos and text on any lower you would buy from your local shop. You will still be able to color fill the logo/text to create a high contrast and sharp looking image. If we Cerakote or anodize first, we can then go over and remove the coating which will give you a white image, offering the most amount of contrast. For most orders, we already have most common graphics on file like the US Flag, Punisher, Spartan Helmet, etc.... You can just specify the image you want in the blanks without uploading. If we do not have it we may email you to ask for a copy or clarification. If you have multiple custom images, please reply to your order confirmation with the additional images, and make sure to fill in the blanks above with the filenames of the images you will be sending. If you leave an area blank above and email an additional image, it might not be included, it must be indicated in the area you want it placed above. Please watch the video below for information on how to pick graphics and upload them, it will answer most questions and insure you get the best possible custom dust cover available on the market. We want to make the process as easy as possible and make sure your cover turns out just like you want. We have very high standards and your dust cover final product quality is determined by the graphic quality you send us. -Anything else you can imagine!! Since this is not a complete firearm, we can ship this directly to you, we do not need to go through a dealer. You can send in your own 80% lower that you already own as long as it has not been milled out. *YOU MUST BE 21 TO ORDER ANY STRIPPED RECEIVER. IF UNDER 21 AND SENDING IN A COMPLETED LOWER FOR WORK, IT MUST BE SENT IN WHILE CONFIGURED AS A RIFLE WITH BUFFER TUBE ATTACHED. ADDITIONAL SHIPPING CHARGES WILL APPLY. NO SALES TO NJ. I am blown away at how nice my lower came out. I thought ~$200 was a little steep to spend on an 80% lower, but in my case, I think it was worth it. I can't stop looking at it knowing it's not only badass, but one-of-a-kind. Being my first lower engraving purchase, I was somewhat hesitant and didn't know what to expect with how the ordering process goes. These folks were very responsive and answered my questions quickly and clearly, which is one of the reasons I decided to go with them. I'm glad I did. The lower I received was top notch and the engraving was perfect. They provided excellent communication along the way and got it out the door quickly as well. I plan on doing my next engraved lower with them for sure. I bought a custom lower for my first build ever so I didn’t know what 80% meant. So you could imagine my surprise. Even with that surprise the lower was beautiful and exactly what I wanted. The customer service was prompt with my question emails and I received the lower within 2 weeks of purchase. Great item and great service! Absolutely love how mine turned out. I was very particular about having some engravings done before and some after the anodizing process, and it came out exactly the way I had wanted it to. Overall, I am extremely satisfied with this product and would highly recommend this to anyone. Only minor issue I came across is that this 80% lower seems to have a very minor fitment misalignment with the DD MK18 upper. The upper sits offset to the right approximately 1/3 mm if even that. It's only noticeable if you really look at it hard and doesn't affect functionality. Very tight fitment with no play at all. This cosmetic issue is most likely not due to the lower but seems to vary in degree depending on the individual upper, and with some uppers, fitment is near perfect. Excellent product!! Will be ordering more soon to come!